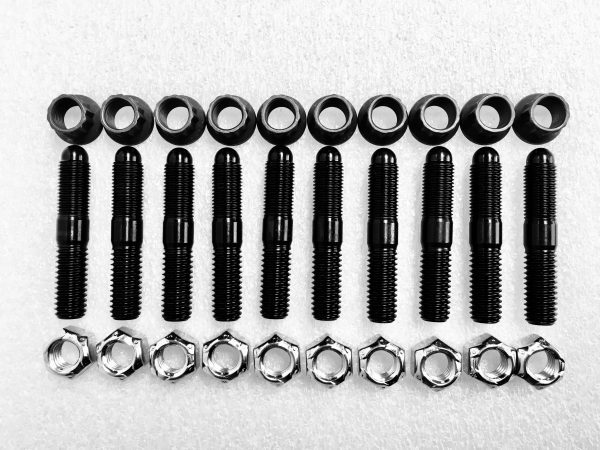 Thirdmember Mounting Stud Kit (Screw in) - Gearworks Inc.
.375” Locking Jet nuts (individual) $3.18 ea. Kit includes 10 custom ARP 2.100” studs with a thread saving ball on one end, 10 genuine locking jet nuts to allow you to get your third member tightened in tight confines using the boxed end of a wrench. Also Includes 10 prevailing torque lock nuts to lock the stud into the case on the inside of the housing.